my carbon titanium skis out of work during warranty period.i put up the same to the service centre &they kept it for one month till the warranty is over and now they are free from responsibility. so any way do not buy carbon product. 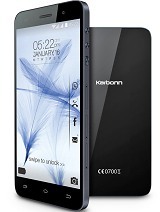 I have karbonn titenium s5 plus & am using this phone since February 2014. I have not faced any problem yet but before some days my battery was taking too much time for charging generally this phone is charged in 2hrs 35 mins and gives backup for 10hrs but now(26/07/2015) it is taking 10 hrs to charge and gives hardly 3 hrs as back up what should i do if anybody knows the solution kindly tell me my email ID is ayush.sharma223@gmail.com . For any HELP Tell me Friendssss..??????????? i m using this phone since one an a half year there was no problem was there u can use for call sms photos videos high gaming movies an all etc.. its depend on ur use how u will use its a best phone only just installation storage is low if u are installing many apps or games but u can root an transfer the file in memory so it will fine otherwise it waas best phone..
Gujrati language not supported How to support gujrati language? most owsm phn i hv evr used... easy to handle... good battry backup.. there is only one prblm dat it is still on jellybean.. no upgrade... but still.. this phone is owsm.. Anonymous, 19 May 2015My bluetooth isn't working..it's receving files but unable to send..moreover very often it fai... moreThe low volume problem can be resolved!!! Then plug in your earphones. Increase the volume to the maximum more than the warning"more than hearing level". Then remove the earphone without pausing the song. It gets paused automatically once you remove your head phone. Now the maximum sound is pretty high than the before one.